In Fight Club, there's a scene when after meeting Tyler Durden for the first time, the narrator cracks a joke about how the people you meet on aeroplanes are single-serving friends. And then, before even giving his seatmate a chance to respond, he launches into an explanation of his witty turn-of-phrase. But before he can finish, Durden dryly retorts "Oh no, I get it. It's very clever. How's that working out for you?" That sentiment pretty accurately describes how I feel about the LG G7 ThinQ. 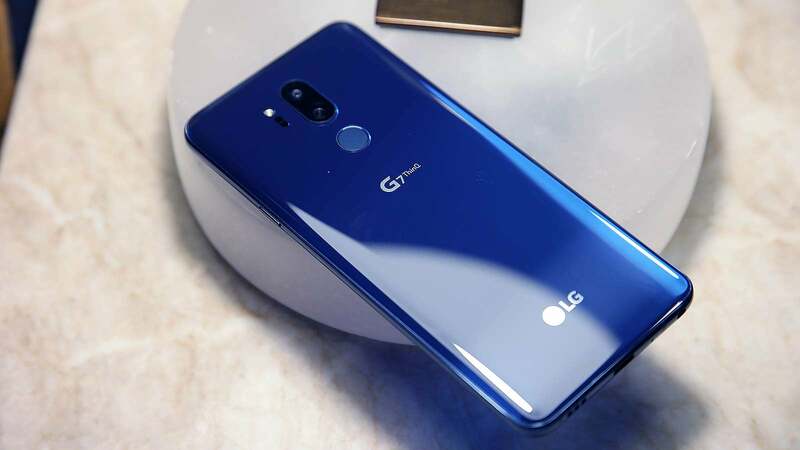 On its latest flagship phone, the company devoted so much time to honing and equipping the G7 with neat little features, it seems like LG lost sight of the bigger picture. Notched displays and cameras with AI-powered object recognition can be fun party tricks, but ultimately, they aren't groundbreaking ideas. It's unfortunate because after spending some time with the G7, the phone has grown on me. 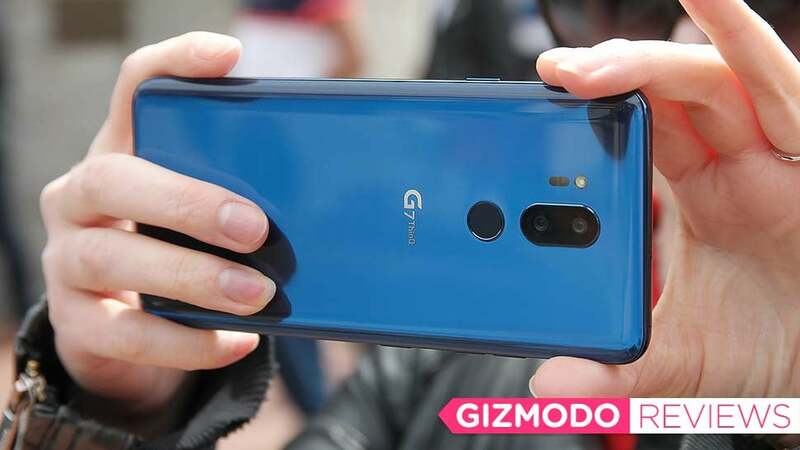 But at the same time, the G7 still has a number of flaws, and until LG reckons with the ongoing identity crisis that sank its last two G-series handsets, its phones won't have the kind of impact they could, and should have. Let's start with that silly ThinQ branding. Ostensibly, the idea is to unite all of LG's premium products from dishwashers to air conditions to phones under a single AI-assisted platform. But as far as I can tell, the only assistant on the G7 is the one made by Google, so I'm not sure what all those smarts are actually doing. 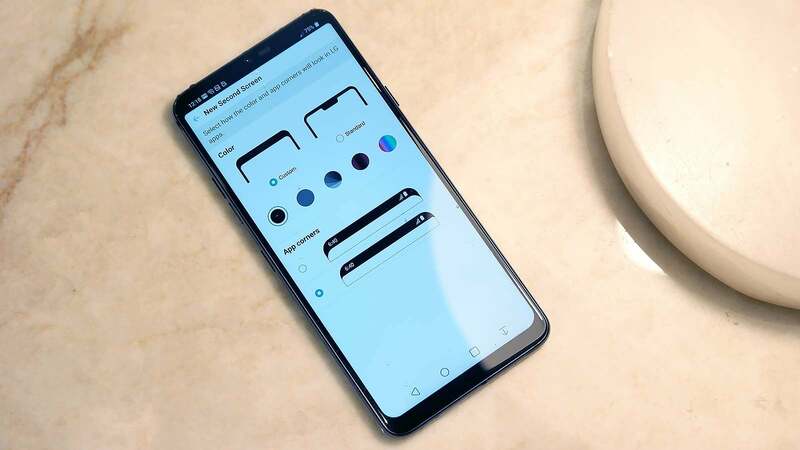 Instead, LG decided to enhance the Google Assistant with a dedicated button on the phone's left edge, which sadly can't be reprogrammed for other uses, though it can be disabled. LG also added handful a unique Google Assistant commands for the G7, which are mostly used for saying things like "Hey Google, open the camera with AI Cam." But before you actually go ahead and do that, you might want to reconsider, because when I tested the dual 16-MP rear cams on our pre-production G7 review unit, actually letting LG's AI cam take control wasn't always the best idea. Sometimes, like when I took a shot during the day of San Francisco's North Beach, the AI cam did a fine job of detecting the scenery and adjusting the settings to create a more pleasing shot. Compared to standard auto, the AI cam's pic features better white balance, more saturated colours, and a nice blue sky without going overboard. However, when a snapped a pic at night of a church on Nob Hill in San Francisco, the AI cam missed badly, producing a blurry mess of a shot, with a heavy orange tint, and a general lack of detail. And this wasn't just a one-time anomaly either, because in subsequent low-light shots, the G7's AI cam continued to produce lacklustre results. The G7's AI cam isn't the phone's only photo trick. 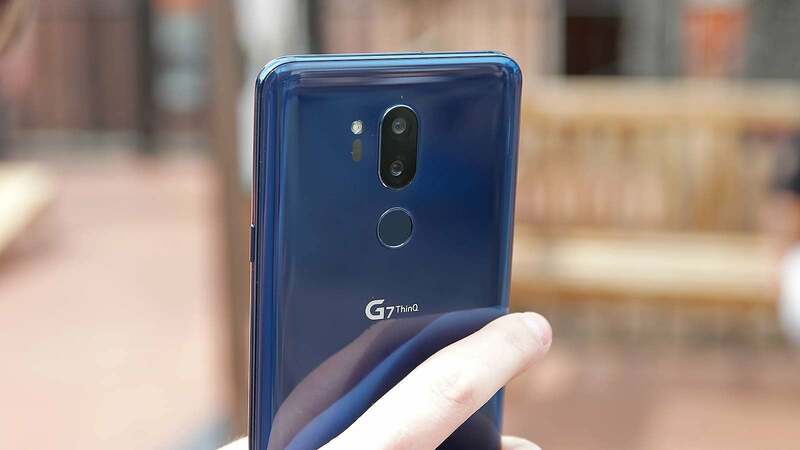 The phone also uses pixel binning, which takes groups of four pixels on the camera's sensor and combines them into one giant pixel, giving the G7 increased low-light sensitivity. It might sound kind of complicated, but it's something a number of companies have tried on phones since as far back as the HTC One M7 from 2013. Sadly, all that trickery doesn't actually result in better photos. 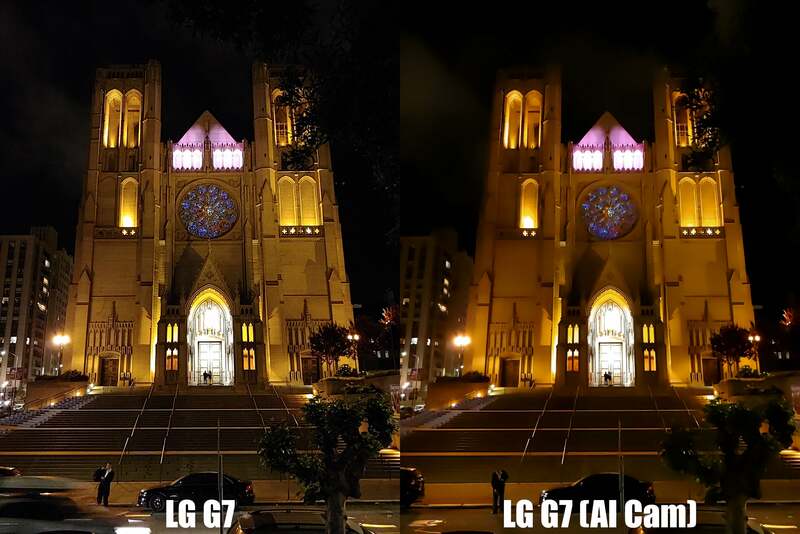 In comparing low-light shots between the G7 and Galaxy S9+, Samsung's superior optics gave it the edge. In the low-light pic above of some extra fatty tuna, the S9+'s increased resolution, and much better details beat out what I got from the G7. In the LG's pic, the mound of wasabi and the garnish have almost no discernible texture, and very little of the pic is anything approaching sharp. The G7's only real advantage is slightly better white balance, which is something easily fixed with a bit of editing. As for the G7's other assorted tricks, its 6.1-inch LCD display impresses by actually delivered on its 1000-nit brightness claim. And that mark isn't just relegated to when you have a small section of white on an otherwise dark image, as I measured it on a completely white screen. In fact, with brightness that topped out at 1017 nits, the G7's screen was over 400-nits brighter than the 605 nits I saw on the Galaxy S9+. Unfortunately, the only way I could get the G7 to pump out that much light was by shining a high-powered torch directly at its front-facing ambient light sensor. In more typical conditions outdoors in direct sunlight, I found that the G7's often hesitated to actually get that bright, and was screen frequently harder to view than a Galaxy S9. Then there's the G7's screen notch, which LG calls a second screen as if it were some weird homage to the LG V10 and LG V20. LG, just be honest and call it what it is. I like there are a number of options for hiding or masking the cutout, in case you're someone that's still not down with the trend. But the strangest decision LG made on the entire device was to reduce the phone's battery capacity from the 3,500 mAh power pack you got on the LG G6, to just 3,000 mAh on the LG G7. That means instead of battery life going up by almost two hours like we've seen on some other recent phones, the G7's longevity only increased by about 45 minutes compared to the previous generation, a difference due almost entirely to the G7's more energy efficient Snapdragon 845 processor. So in the end, the G7's total runtime only hit 8 hours and 54 minutes, which would have been pretty good two years ago, but with phones like the Pixel 2 XL (11:17), Huawei P20 Pro (11:36), and Galaxy S9+ (12:27) all hitting 11 hours or more, a sub 9-hour score just doesn't cut it. What's even worse is that in exchange for that smaller battery, LG used the extra room to create a cavity inside the phones for bigger speakers and better bass. And you know what? LG totally succeeded, because the G7 is loud as hell for a phone. When you turn the volume up all the way, you can even feel the whole back of the phone vibrate thanks to a cavity that helps amplify low-notes like you get in a real speaker cabinet. But once again, there's a downside, because the G7 doesn't have stereo speakers like pretty much every other flagship phone nowadays, so overall audio quality is simply good, not great. The one saving grace for the G7 is that with its built-in 32-bit hi-fi DAC and new DTS-X headphone tech which provides virtual surround sound effects, plugging wired headphones into the G7 sounds even better. Attention audiophiles, this is your phone. The G7 is a puzzling phone. LG spent a lot of time trying to get tricky, while somehow overlooking important shortcomings in other areas. The G7 has a nice build, and that Moroccan Blue glass back is simply stunning in the right light. But its AI cam is wonky, its battery is undersized, and its second screen is really just a notch. Though ultimately, none of this may actually matter, because all those pros and cons really depends on pricing. Currently, neither LG nor carriers have announced what the G7 will cost. If it's anywhere near $1,199 (the current price of a Galaxy S9), the G7 is sunk. But if it's more like $900, then maybe the G7 can survive with all its flaws, as a quirky clever phone that has something even better trapped inside. As far as dedicated assistants controls on phones go, the G7's Google Assistant button is the least annoying. But sadly, it can't be remapped. The screen really does hit 1000 nits, but often it's hesitant to pump the brightness up when it should. While overall battery life has improved slightly since last year's G6 to 8:54, the G7's battery is actually 500 mAh smaller than before, which is disappointing. The G7 is the best handset for audiophiles who use wired headphones. LG's AI cam feature can be a bit wonky, especially in low-light.